Hi loves! TGIF, right ;-)? Hope you are diving into a fun weekend! Today I have a combo to show you that was sooooo pretty to look at! When the dear Mimi sent me some of her frankens, she also included a few Pure Ice polishes. When I saw Heartbreaker in there I almost squeed with excitement. It was the lovely Loodie (Loodie. Loodie Loodie Loodie. Looooodie) that made me fall in love with it a long time ago. 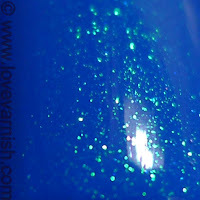 Pure Ice Heartbreaker most definitely is a layering polish, with a gorgeous green to blue shimmer. I coudn't really capture the blue in the shimmer but it is there and not shy! Bondi NYPD is a gorgeous royal blue, definitely blue but not electric bright. It applied so so smoothly (can you tell I've fallen in love with the quality of Bondi polishes?) and the color was actually good in 1 coat. I still did 2 because I just think my nails look a bit better when there are 2 coats of color (less ridges and such). It dried quickly, too! Do you love this combo? And what would you layer Pure Ice Heartbreaker over? Loooovvvvee Heartbreaker. Looks like you got the "good" bottle to (I have both versions, and the good one is so much better than the other). 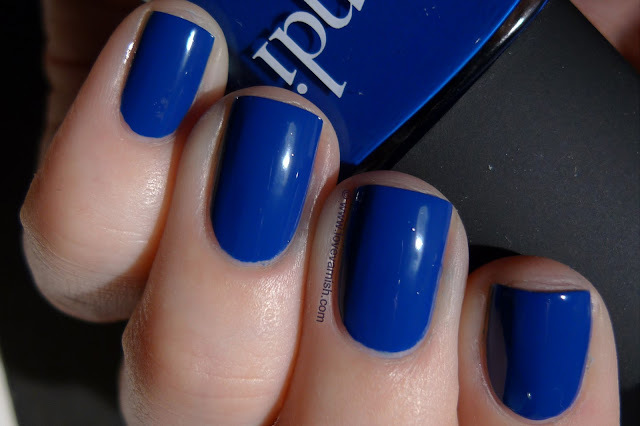 This combo reminds me of Orly Roya Navy. Oh wow, I love the effect! I wonder how it would look an a pure black polish. Such a gorgeous combo! I ordered a few more Bondi's during their last bogo sale. Can't wait to try them. They are so gooooood in formula! Still not worth $15 a piece I think (it's just too much for a plain creme) but with BOGO's I don't mind paying $7,50 at all :). What colors did you get? You so sweet! Yes those Bondi lacquers are quite fabulous, I am wearing Lady Liberty again right now and I just love them so much! Hello to every body, it's my first pay a quick visit of this webpage; this website contains remarkable and truly good data for visitors.